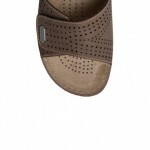 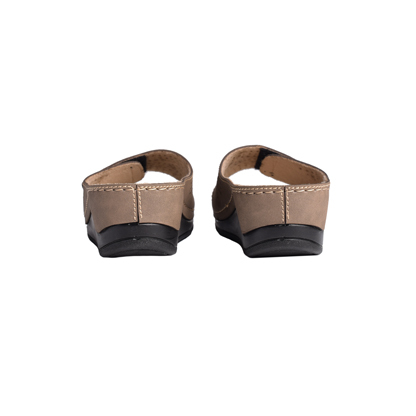 Brown medium wedge open back mule with open toe and adjustable Velcro fastening for wide fit. Stylish but comfortable, practical and easy to wear. 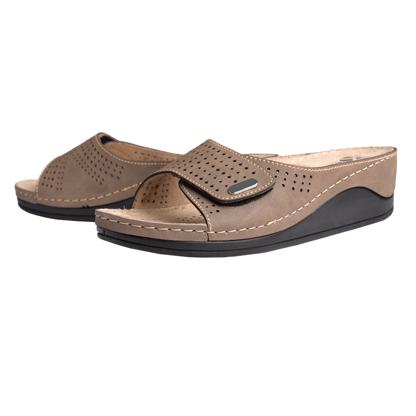 Made from fine quality materials and foam cushion insole.Great for those dress-down moments for effortless impact-free supported steps.